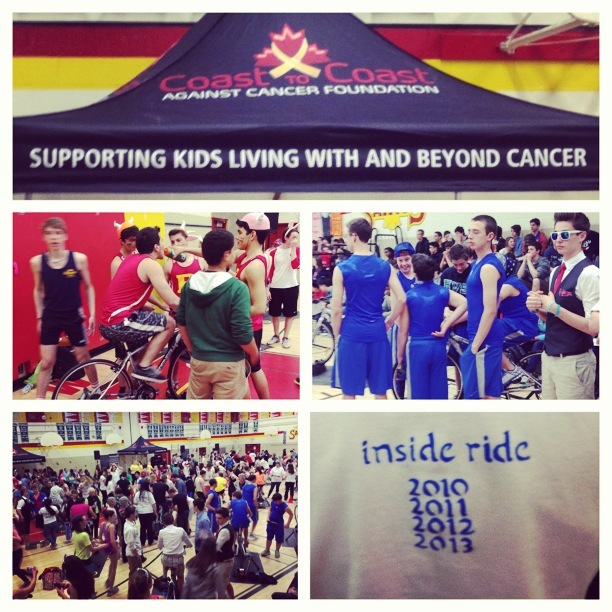 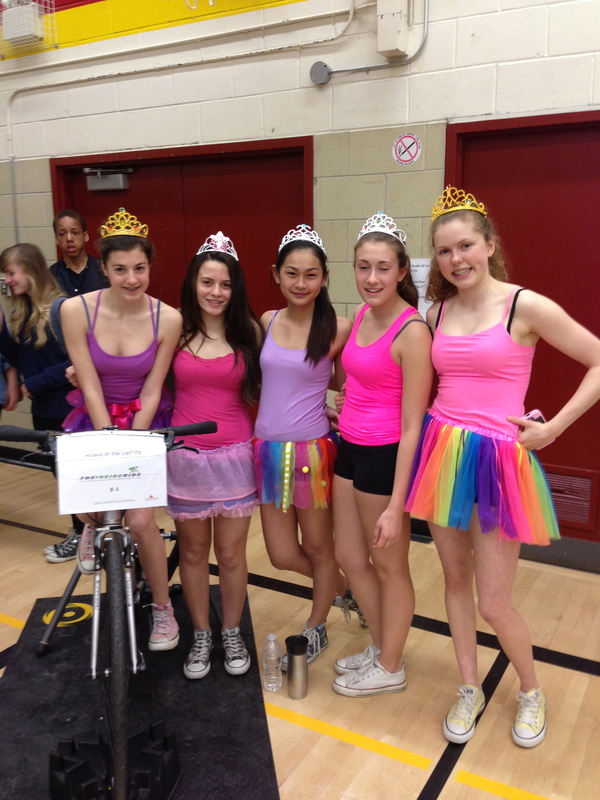 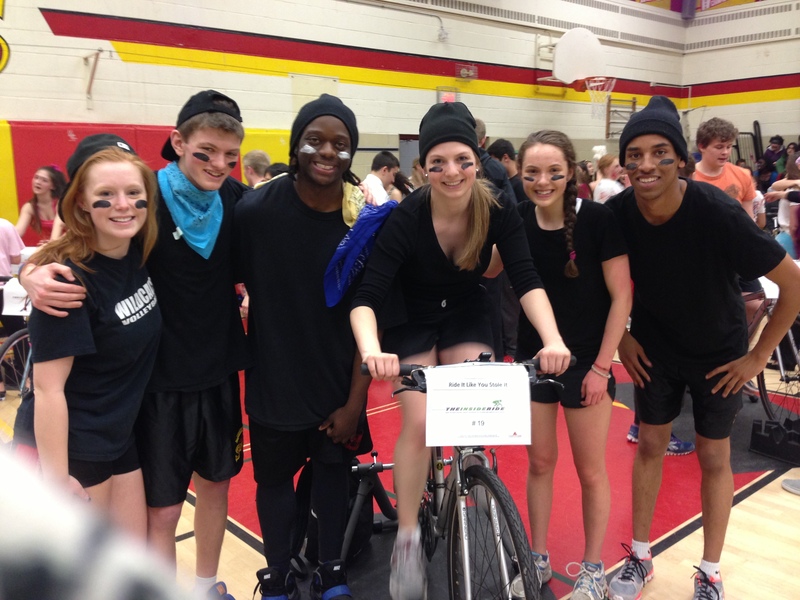 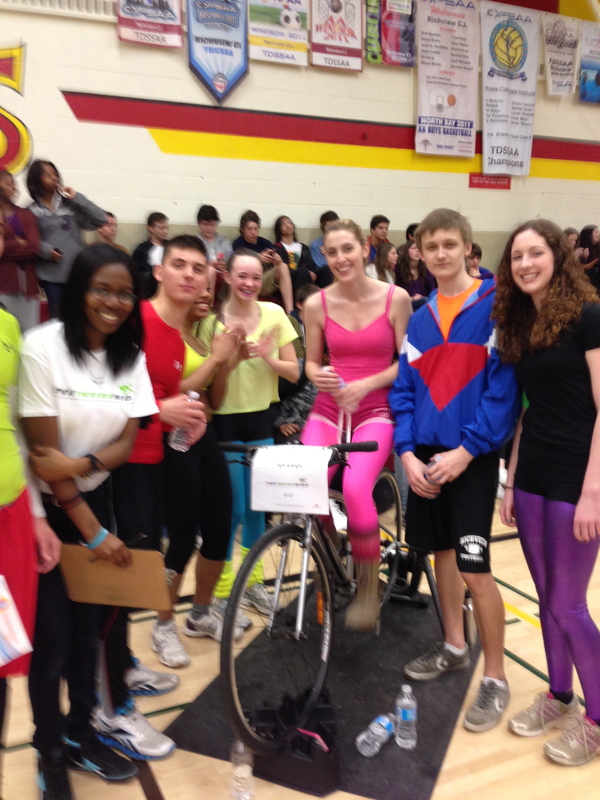 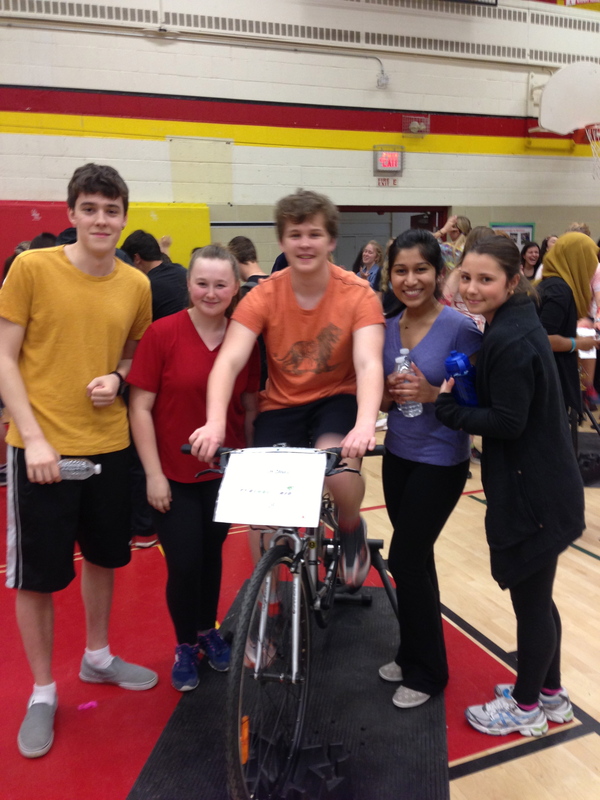 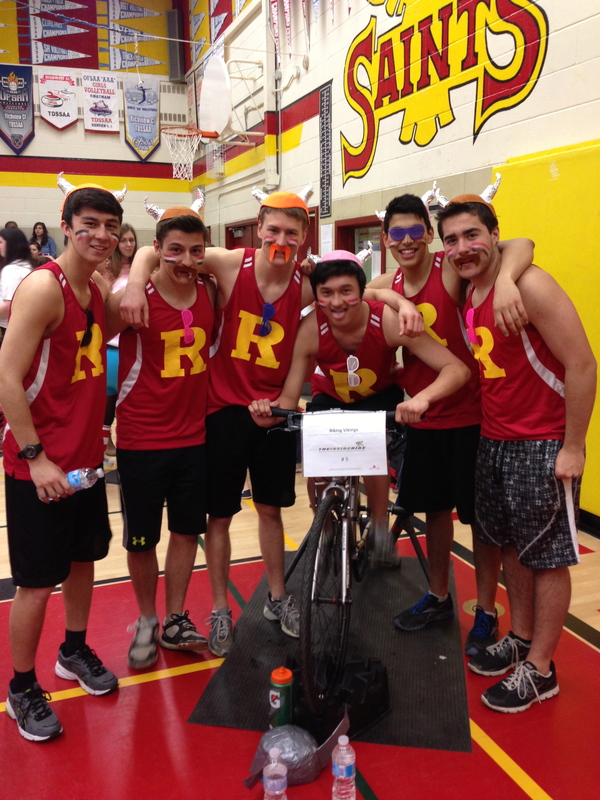 Every year since 2010 Richview students and teachers have participated in the Coast to Coast Against Cancer Foundation’s Inside Ride. 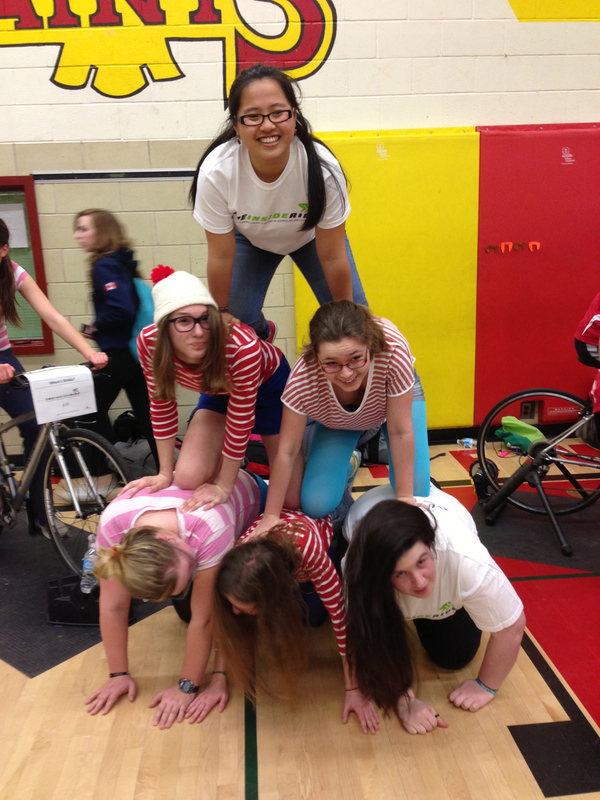 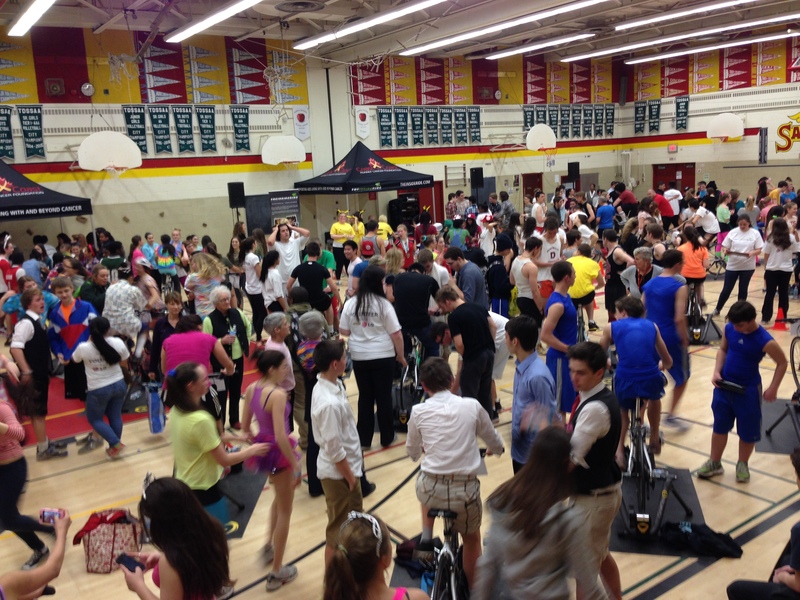 This event is Canada’s first indoor cycling challenge and fundraising event dedicated to raising monies in support of families and children with cancer. 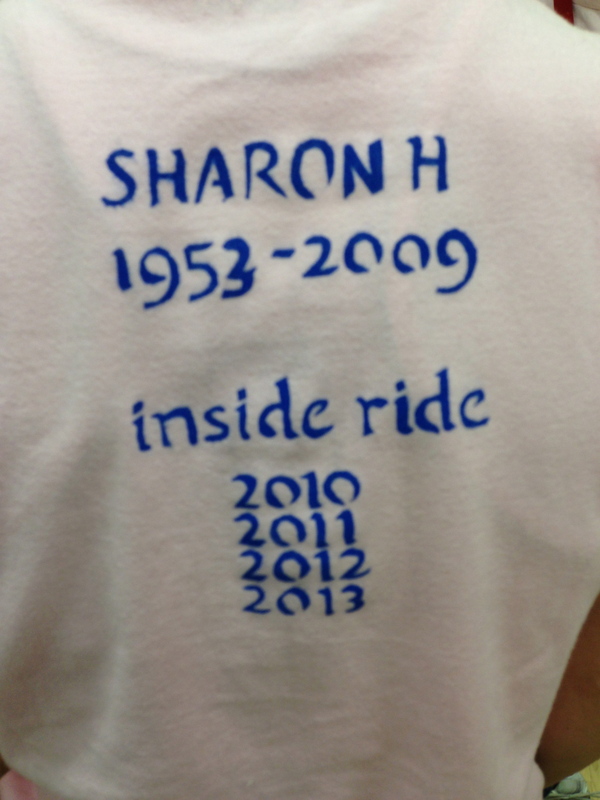 100 % of all (receiptable) donations is distributed where the needs are greatest, including funding of oncology camps, community support programmes, research scholarships and other areas which contribute to inspiring hope and improving prognoses for children and their families impacted by cancer. 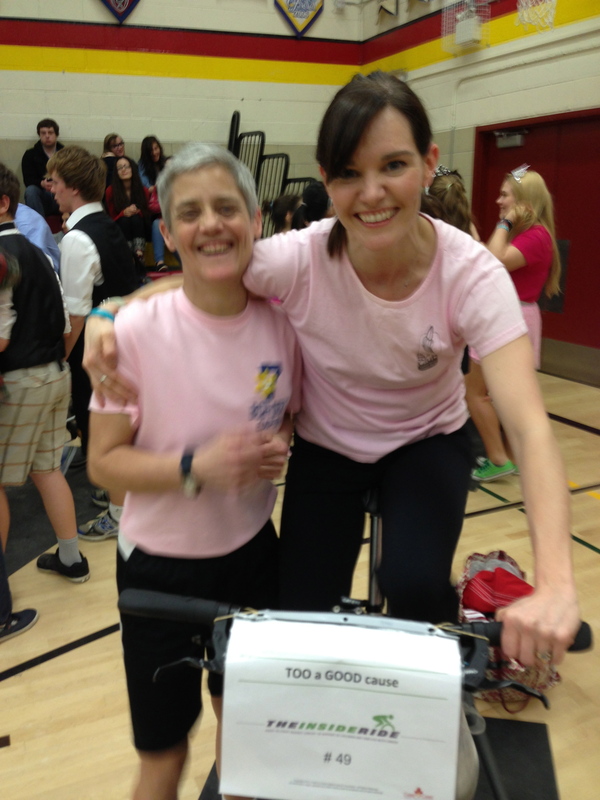 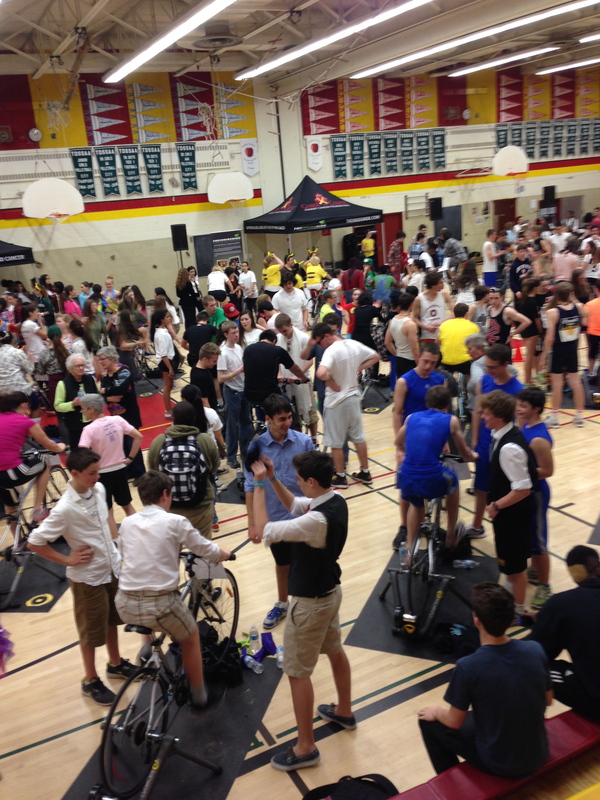 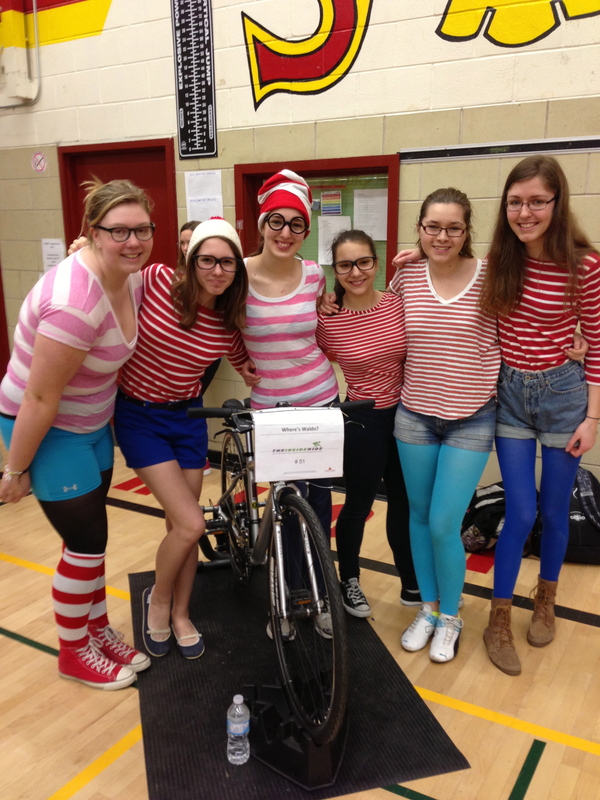 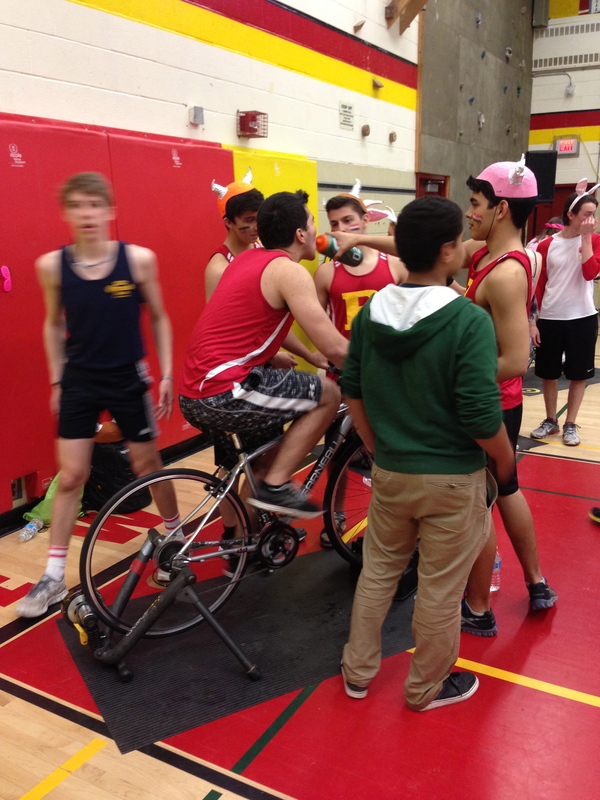 This now yearly extraordinary two-hour indoor cycling challenge began as, and continues to be, a tribute to one of Richview’s beloved teachers Sharon Hewitt. 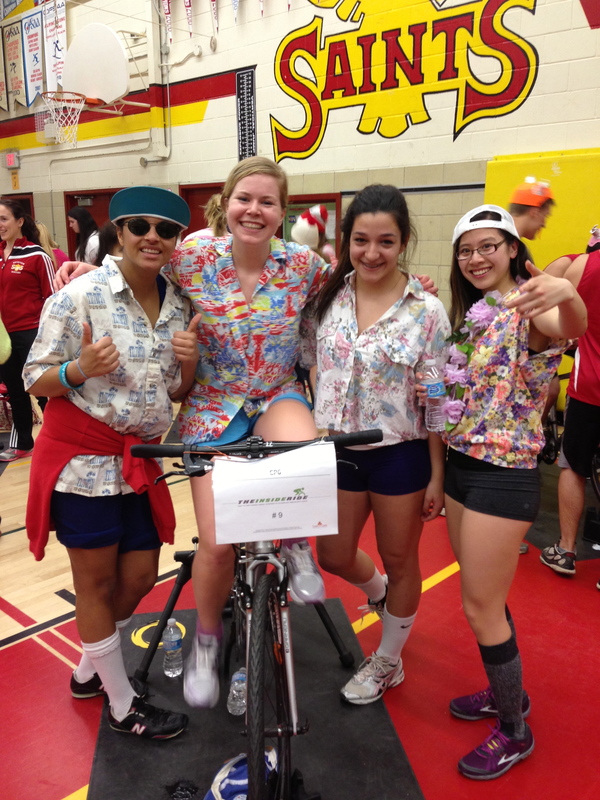 A fun, safe, team-based activity, it also promotes volunteerism, encourages physical activity, and ignites a passion for giving to others by increasing awareness of childhood cancer, the #1 disease killing kids. 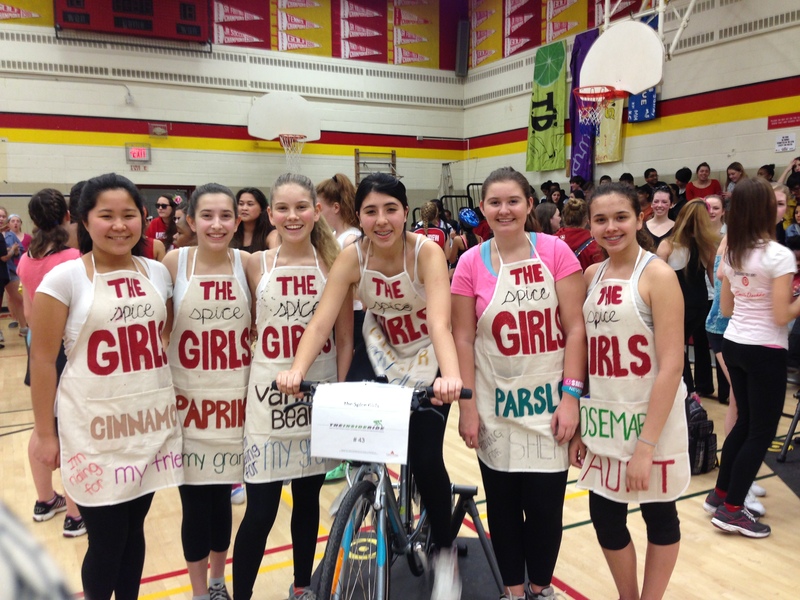 This year Richview Saints raised over $20,000 bringing our grand four year total to well over $54,000! 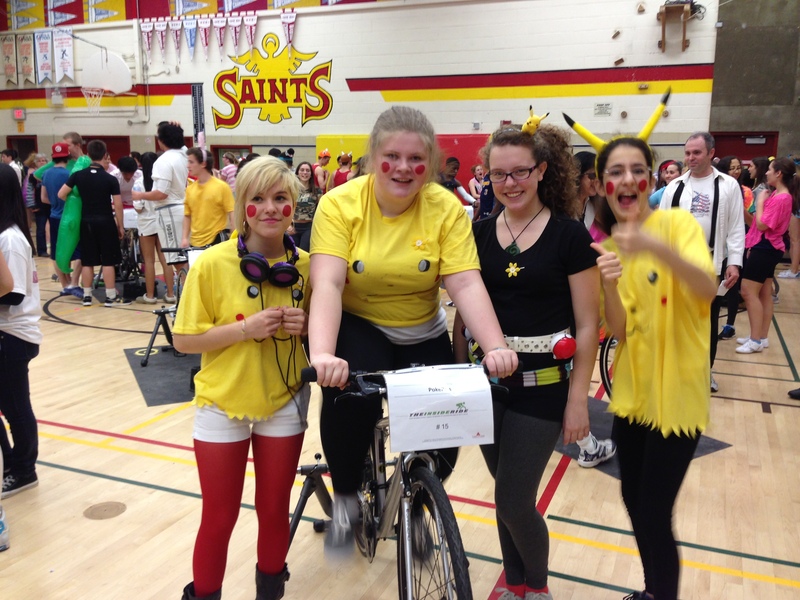 WAY TO GO SAINTS!